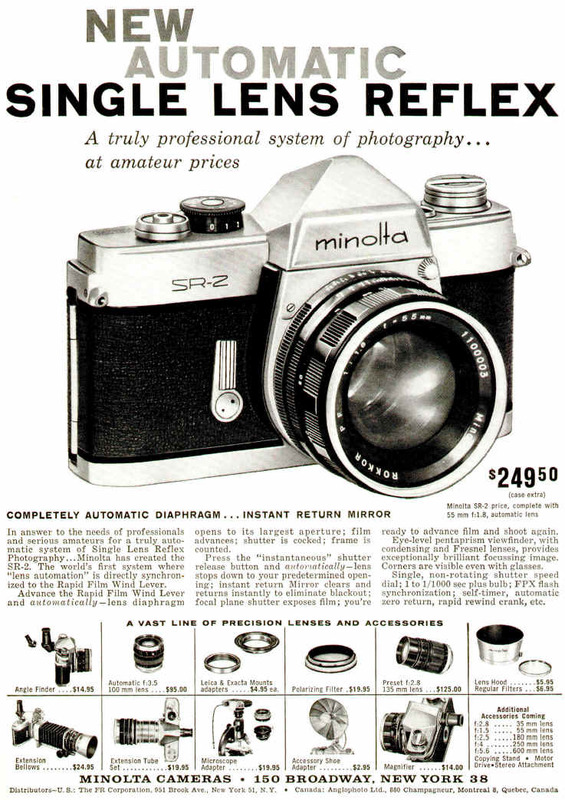 Normally I don't both to put up camera ads, but info on the SR-2 is hard to find, and often inaccurate -- even at Minolta sites! So, here is the beef. 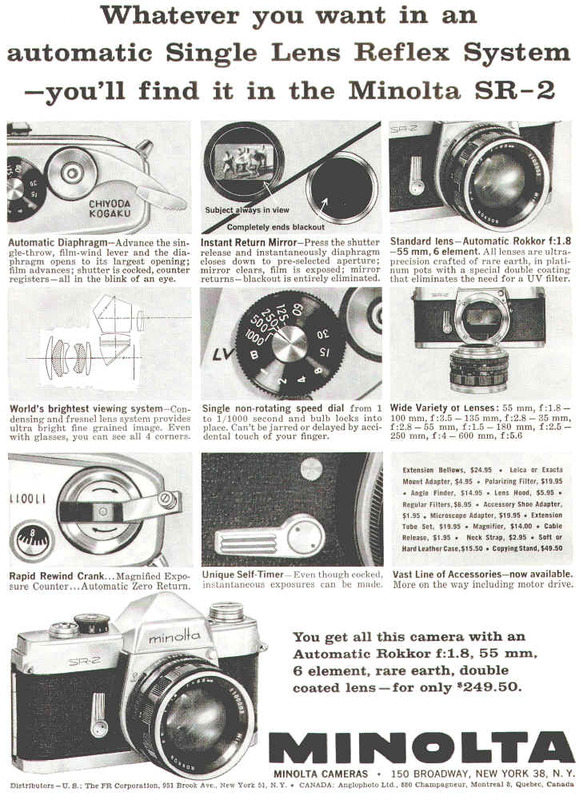 This, the first Minolta SR-2 ad in American photo magazines appeared in June 1959. Notice only three lenses are listed at the time of introduction. The 55/1.5, 180/2.5, 250/4, motor drive, and stereo attachment announced with the camera never made it to the production stage, so far as I have been able to determine. This is the second SR2 ad, appearing in American Photo magazines in September 1959. Notice the explanation of the SR-2's "automatic" diaphragm, and the promised lenses and motor drives which never arrived. Revised: November 25, 2003 . Copyright © 1998-2001 Stephen Gandy. All rights reserved. This means you may NOT copy and re-use the text or the pictures in ANY other internet or printed publication of ANY kind. Information in this document is subject to change without notice. Other products and companies referred to herein are trademarks or registered trademarks of their respective companies or mark holders.